Momoko announces that this is the last episode of Trattoria Buono! for the year. Looking back over the year, a lot of things happened on the radio show. They feel that the appearance of Baron-san on the radio show was the biggest thing that happened. Getting to interact with him was something they hadn’t expected. They praise his dulcet tones, and Airi wishes that he’d pop by again. Momoko also remarks that Airi-sensei hasn’t been appearing recently. A bit of explaining may be in order. As you may know, one segment of the Trattoria Buono! shows is an advice corner. 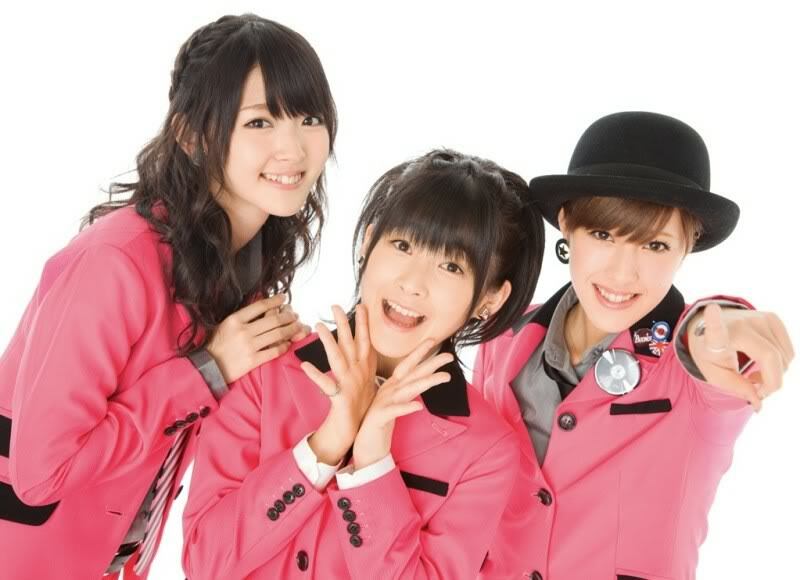 In the past, Airi would disappear somewhere, while Momoko and Miyabi would mull over the given question for a while. 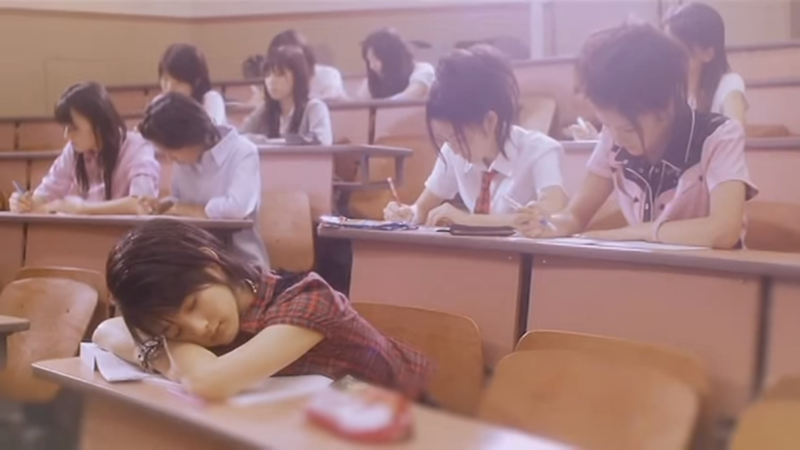 They would then summon Airi-sensei, a ‘character’ played by Airi. According to Miyabi, Airi wears black spectacles when in the Airi-sensei role. Airi-sensei would give her frank opinions on the problem at hand, in a somewhat airy-fairy manner. In mid-2014, both Airi-sensei and Airi ‘met’ one another in the advice corner, and from then, Airi-sensei slowly stopped making appearances. 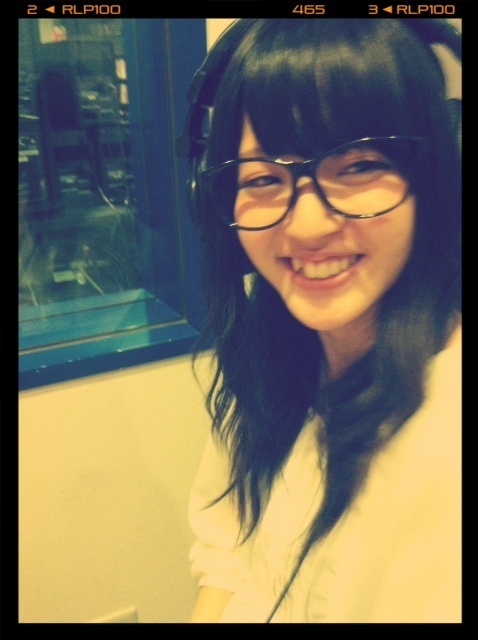 Coming back to the radio show, Momoko recalls that up to the first half of the year, Airi-sensei would often pop by and given her frank opinions on the various situations they received from listeners. Airi suggests that they should try contacting Airi-sensei, and asks if the others remember when both her and Airi-sensei appeared at the same time. Airi herself personally enjoyed that encounter. Her schedule and Airi-sensei’s hardly ever match, so Airi enjoys the occasional chance they get to meet. Miyabi and Airi start going back and forth about contacting Airi-sensei, until Momoko tells them to stop with the farce, and commences with wrapping up the opening segment. Momoko announces that December 6th is ‘Oto no Hi‘, which roughly translates to ‘Sound Day’. She asks the others: do they have any sounds that they like? Or dislike, like a blackboard being scratched, which turns out to be something that the girls unanimously dislike. Momoko herself loves the sound of running streams. Miyabi: The ones that play when you’re in the washroom? Momoko: Don’t equate it with an otohime! They’re different! Momoko: Stop it, don’t relate idols with washrooms. Airi hails from Chiba, and she enjoys the chirping of crickets on summer nights. She loves how beautiful the evening sky gets during summer and autumn, and when she goes outside, she hears the crickets chirping. Fellow Chiba resident Momoko understands, while Saitama representative Miyabi isn’t familiar with it at all. Miyabi professes to liking the background music that’s playing while they speak. Momoko: So for Miya, it’s because it’s unknown? 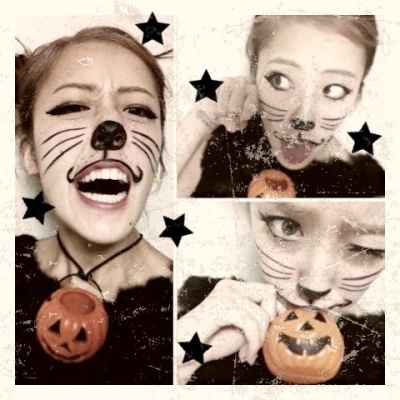 Miyabi: This unknown song, with its unknown singer. Momoko: There’s no vocals though. Even though the current background music is just an instrumental, it creates a cafe mood. When Miyabi hears a song sung by a foreign artiste she doesn’t know, she just enjoys listening to the singer’s voice, though she doesn’t actually go through the effort of looking up the singer. Basically, she likes music she’s unfamiliar with. At cafes, music like that helps her relax. Recently she’s been turning on such background music-type songs when she goes to sleep, which she finds calms her down. Momoko and Airi find this action pretty stylish. Momoko: In Miya’s case, her bedroom is a cafe.